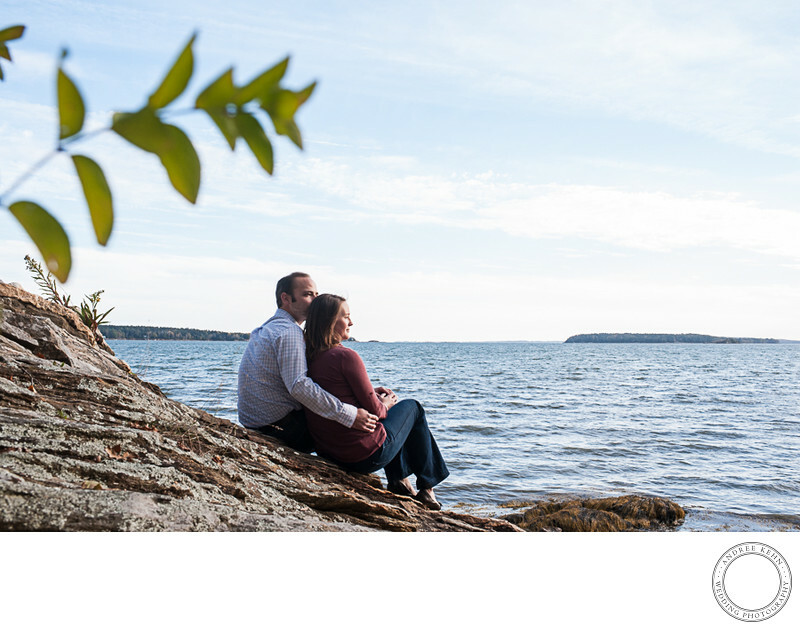 This photo of these two awesome people at Wolfe's Neck State Park is simple and elegant. A tiny twig of leaves swoops into the frame int he foreground and frames the couple. Taking time during the engagement session to find great angle and location helps a couple for this time on the wedding day. They understand their role is to relax into the moment and not to worry if I start crawling around on the ground and hiding behind trees and bushes. It's all part of the wedding day experience and they trust in the process. Keywords: Andree Kehn Wedding Photography (1287), Black Point Inn (48), Scarborough Maine (48), Wedding (231). 1/250; f/9.0; ISO 500; 35.0 mm.